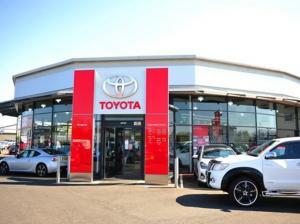 Three UK Toyota dealerships have been singled out for the Japanese car manufacturer’s Ichiban awards in recognition of their excellent levels of customer service. The three branches awarded Ichibans were Hodgson Toyota Newcastle (pictured), Burrows Toyota Barnsley and Helensburgh Toyota, with representatives and staff from each dealer present to accept their awards at the ceremony in Rome earlier in May. Customer service has become more important for car dealers across the UK since there is increased competition from online retailers and private sales. Therefore, offering extras such as aftersales servicing and test drives is even more vital than ever. So, in addition to general motor trade insurance and road risks insurance, UK car dealers should also consider demonstration insurance, to ensure that they are fully covered for test drives whenever they are requested. The awards cover 34 markets across the whole of Europe and comprise some 2,300 dealers across the territory, making the awards highly coveted. The Ichibans acknowledge excellence in customer service and aftersales. This is the 10th time the awards have been given out. However, this year, the main focus was switched from customer satisfaction to customer recommendation through offering a superior customer experience.